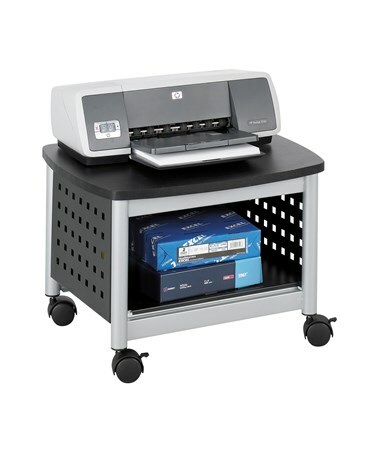 The Safco Scoot Underdesk Printer Stand is a 14 ½-inch high printer stand that perfectly fits under a desk or work surface for space saving and low-key display. It features a design with a unique hole-pattern on the sides, which also provides ventilation for the open compartment. 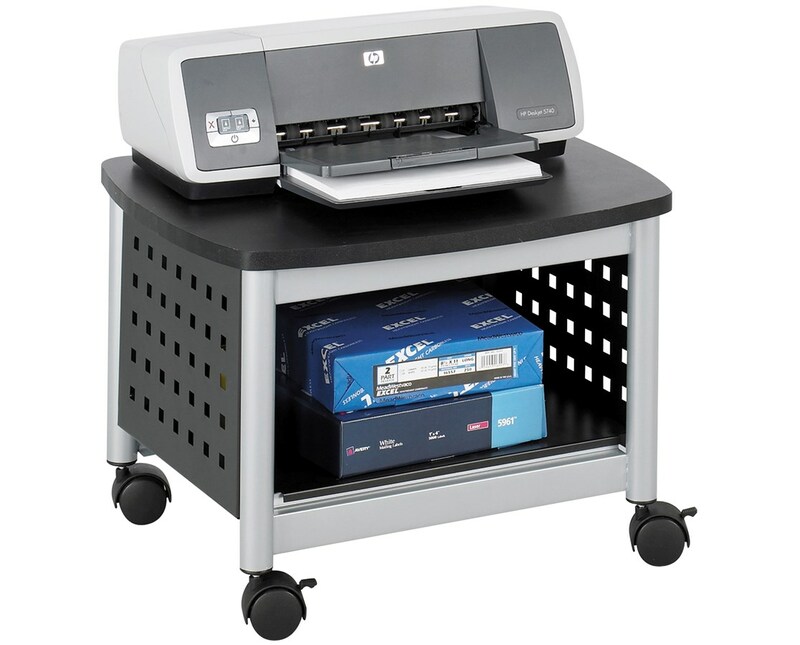 This cart moves smoothly on four dual wheel casters, two of which have locking brakes. It has a top made of furniture grade particleboard with a weight capacity of 100 pounds and a body made of steel. It has a powder coat finish in black with silver leg accents.